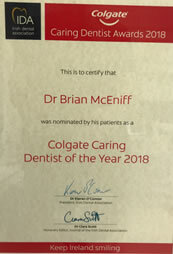 Dr Brian McEniff qualified from Trinity College Dublin with honours in 1991. 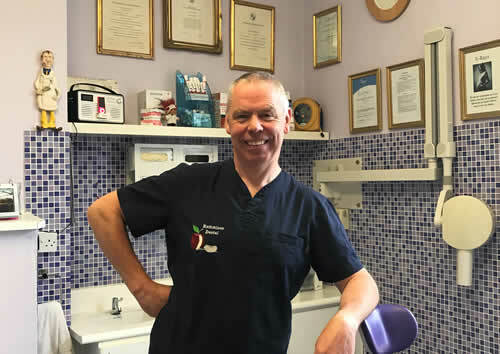 Having spent nine years working in London and the South of England he returned to Dublin in 1999 and took over the practice from the late Dr Michael O’Brien in January 2000. He has kept up with the advancements in Dentistry with Continuing education programmes at the Dublin Dental School, Eastman and Guys Dental Schools London. He completed a two year postgraduate course in the Dublin Dental School in 2004 and earned the Diploma in Clinical Dentistry qualification. He is a member of the Irish Dental Association. He has a keen interest in all aspects of Dentistry but particular endodontics, cosmetic dentistry, veneers, crown and bridgework, and tooth whitening. Lynne McEniff is from Hampshire in the South of England and qualified as a Dental Hygienist at Aldershot, Hampshire in 1991. She qualified at the top of her class winning the Anne Aide cup. She has worked in several dental practices in the south of England and London. She came over to Dublin with Brian in 1999 and helped him take over the practice. 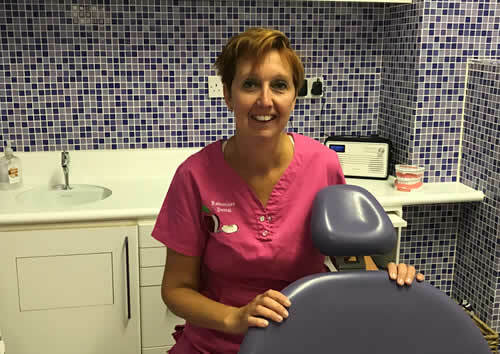 She works as our hygienist and practice manageress. Amy joined us in 2016. 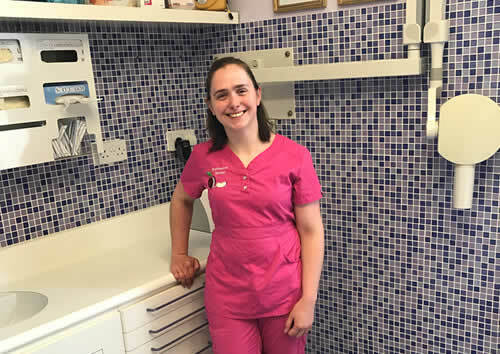 She studied in the Dublin Dental Hospital (Trinity College) where she qualified with a Diploma in Dental Nursing in 2014. She has also worked in a practice in Tallaght. Amy enjoys singing, dancing, and is in an amateur dramatic society.